An x-ray (radiograph) is a painless medical test that helps physicians diagnose and treat medical conditions. It involves exposing a part of the body to a small dose of ionizing radiation in order to produce pictures of the inside of the body. X-rays are the oldest and most frequently used form of medical imaging. They are commonly used to diagnose broken bones, joint or spine injuries etc. 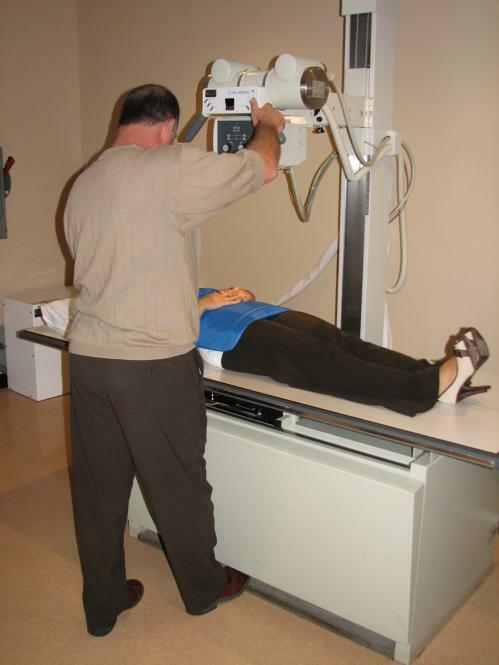 Seton Imaging utilizes a CR system (Computerized Radiography), which processes and stores the x-rays as digital images. An x-ray is a quick and painless exam. The procedure generally takes 10-15 minutes to complete. The technologist will position the patient on the x-ray table, and when necessary, sandbags or cushions will be used to help the patient hold the proper position. The patient must hold very still and may be asked to keep from breathing for a few seconds while the x-ray is taken. You may be asked to change into a gown before your examination. You will also be asked to remove jewelry, or any objects that could show up on the images. It is very important for women to inform the technologist if there is any possibility of pregnancy.